Albuquerque Real Estate Blog: Albuquerque Homes- Interest Rates are STILL low! Albuquerque Homes- Interest Rates are STILL low! Interest rates are still amazing! I just helped a first time home buying couple purchase one of the homes for sale in Albuquerque Acres West and they were able to secured a 30 year fixed mortgage at 3.75 with no points! I couldn't believe it when the escrow officer went over their loan papers and began to discuss the terms of the loan. My immediate response was "How many points did you have to buy to to buy that down?" and the buyers looked at me like I had two heads. "None" they replied. I'm sure my jaw hitting the table erased any doubt they may have had about making the right decision in buying a home at this time. I saw the buyer's remorse jump right out the window. At the risk of sounding like a salesman, right now is still a great time to buy. 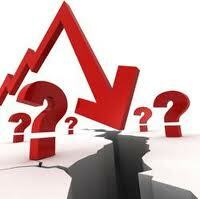 Again, interest rates are low, home prices are correcting and inventory is high. Sellers are ready to entertain any offer and get their homes sold and on with their lives. Some are even more than happy to write a check at closing. So, if you are thinking about buying a home in Albuquerque, get movin'! The good ones are going and there are plenty of them. These interest rates can't last forever! Call or email The Albuquerque Real Estate Group if you have any questions. We are more then happy to help! !